Like most liberal arts colleges, Eckerd does not have a formal pre-health program. While there is no standard way for students to prepare for entrance into medical school, there are a number of different approaches that can be taken by Pre-health students to prepare them for the next step. The defining characteristic of these approaches is that they are developed as the result of an ongoing conversation between a student, his or her academic mentor, and the Pre-Health advisor, who provides advice based on the recommendations of the Pre-Health Committee – a group of professors from various disciplines who make it their job to pay attention to acceptance trends for various medical schools and disciplines. It is never too early to begin thinking about planning out your education in a way that will enhance your chances of getting into medical school. Whether you’re thinking of allopathic medicine, veterinary medicine, osteopathic medicine or dentistry, having a plan early on will be invaluable to you later. You can start this process by talking to your academic mentor. 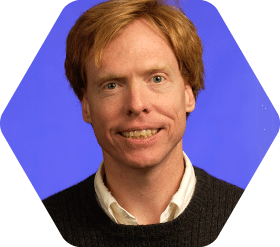 If you do not yet have a mentor, or do not know who your mentor is, you can also contact the current Pre-Health Advisor, Prof. Steve Denison. 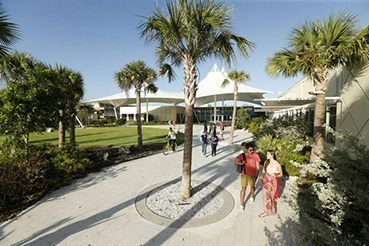 Have questions about the Pre-health Program at Eckerd College? Fill out our form and we’ll get back to you with answers. 81% of all qualified Eckerd students gain acceptance to US allopathic (MD) medical schools. Whether you’re thinking of allopathic medicine, veterinary medicine, osteopathic medicine or dentistry, our Pre-Health Program can help put you on your path to medical school and beyond. 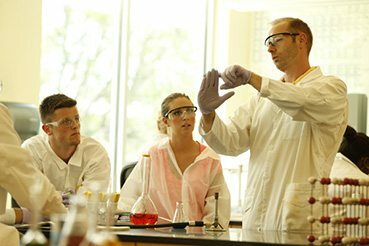 Generally, a major in the Natural Sciences Collegium will be the wisest choice for Pre-Health Students, but some students choose other majors and supplement them with science electives. Extracurricular activities are important, as are the recommendations that arise from them. It is better, however, to be devoted to and good at a few activities rather than to participate inconsistently in a large number of them. Often, unconventional academic paths make a student stand out more to medical schools. Use your mentor and the Pre-Health advisor as resources to help you be creative in planning your path to medical school. “I think my main piece of advice is to follow your interest. Don’t just take classes or summer research jobs if it’s only to amplify your application. Obviously you have to take all of the prerequisites, and it’s also a good idea to take Biochem, but it’s very important to not limit your studies in college. If you find you have a strong interest in art or humanities, don’t be afraid to focus on those topics. This may be your only time in which you can really immerse yourself into the non-sciences. If anything else, it gives you an interesting application. I would also say, no matter what you’re studying, keep busy in undergrad. Find clubs that interest you, place where you would like to volunteer, or projects to work on. Devote your idle time to those activities. It’s good for the application, it allows you to practice multitasking, and it will most likely improve your communication/interpersonal skills. Take leadership position when possible. Med schools look for this. It can even be as simple as being captain of a club team. Study, study, study. I took 6 months to study for the MCAT, and a Kaplan course, which helped me a lot. I learn in a classroom, a lot better than on my own. If that’s not you than the course probably isn’t necessary. Gaining admission and finding success in medical school and related fields of study is a long and challenging process. Like most endeavors in life there are no magic bullets or quick shortcuts to getting accepted to medical school. It takes a good plan, hard work, and dedication to making sure you are taking the proper steps to help you reach your goal. The following plan outlines what you should be doing or considering as you navigate your way through your undergraduate degree to prepare for medical school. Request letters of recommendation from 2 science and 1 non-science faculty to be sent to the Chair of the Pre-Health Professions Committee (Prof. Denison). Meet with pre-med committee in the spring semester. Now that I have made it to Eckerd, what do I need to be doing? Congratulations on your matriculation! Now that you have begun your college career, there are a few things you should keep in mind. First, if you have a strong inclination to study a particular major, go ahead and schedule your freshman classes to get started working towards the major. If your desired major is one of the sciences, then you probably will be on track for the math you need. If you have not decided on a major, it is wise to add General Chemistry I to your first semester courses. Below are three courses that students following a pre-health track are strongly encouraged to take either within or very close to the first semester. What major is best for a student interested in the health field? The best major for you depends largely on the schools you wish to attend after Eckerd. Many students prefer to major in one of the sciences due to the large number of science courses they feel they need to perform well on admissions exams. Medical schools typically have a list of prerequisite courses, but do not specify a preferred major. In fact, medical schools value disparate experiences and viewpoints – so pick a challenging major that you will enjoy! Other types of schools may have specific requirements that will affect your choice of a major. If you need to meet with the pre-health advisor to determine which major is best for you, click here to arrange for an appointment. Instead of trying to declare the “correct” major, it is best to choose a major that suits your talents and interests – your college performance and satisfaction will reflect it. Aside from a strong academic background, what else will I need to do to be a good candidate for medical/dental/veterinary/allied health schools? Establishing a record of extracurricular activities is essential. You must gain experience in your chosen field as a volunteer, intern, or observer. 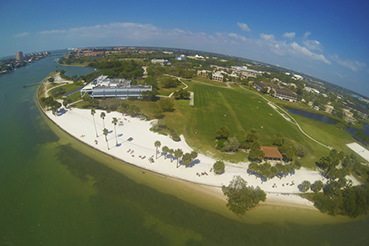 Eckerd can serve as a good resource for you – especially when you get to know your fellow students. Join the Pre-Health Club to benefit from their experiences and contacts. Aside from patient-contact experience, you should also find ways to keep yourself active in the community – either on or off campus. Join teams, volunteer organizations, or other forms of employment. You will need to show that you can handle responsibility, and that you care about the world around you. Work with your supervisors for a sufficient time frame to let them know you well. The type of activity you choose is a personal decision, and it should be something genuinely important to you. Remember that schools want well rounded students with real experiences, so pick something to which you can be dedicated. The Center for Career Planning and Applied Learning can help you find positions in many circumstances. Does the pre-health committee agree to support all Eckerd students in their applications? Yes, we do. Unlike some larger schools, we do not deny our services to any students who wish to apply to medical, dental, veterinary, or other health related fields. However, “support” does not mean unqualified praise for weak applications. Our letters to admissions committees are honest about your strengths and weaknesses, and about our genuine assessment of you as a candidate for your chosen career. If we feel that your application is not strong, we will tell you. Often we will make recommendations for ways that you can strengthen yourself as a candidate. We want you to achieve your goals, and we will work with you along the way. Students requesting a letter of evaluation from the Pre-Health Professions Committee must meet with the Pre-Health Committee. These meetings will usually take place in the spring before the summer that the student applies. (This is usually the spring of the junior year.) Please contact Prof. Denison to arrange a meeting with the committee. Prior to the meeting, the student should send the completed Pre-Health Committee Meeting Form to Prof. Denison.